Last time, we presented a few things to consider if you are thinking about financing for your new home. Specifically, should you use a local bank or a Mortgage Banker? It may seem like the logical step is to call your bank. They have your banking accounts and since the Bank has your financial information, the process will be easier. Unfortunately, this is rarely the case. 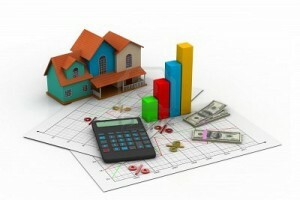 In fact, it is typically a much more streamlined process to obtain a loan through a Mortgage Banker. Banks will have to collect all the same documentation and follow the same guidelines as a Mortgage Banker, but a Mortgage Banker is licensed and educated to a degree that is not required for banks and bank employees. Continue reading for some other great reasons a Mortgage Banker should be your choice. Banks are large institutions. It can be frustrating getting anything done quickly. Mortgage Bankers are typically more assessible, nimble, have better communication and value the client relationship. Banks typically will not provide a real Pre-Approval. A real Pre-Approval requires a certified Underwriter review the loan documents and approve the loan request. Banks usually only issue a pre-qualification letter issued by a Loan Originator. In this tight inventory market, your offer needs to stand out. Sellers and Listing agents prefer offers from buyers that have been fully Pre-Approved. If you want to know more, give us a call or visit our website. Many Listing Agents have experienced the frustration of working with banks that do not communicate and have last-minute hiccups. In a multiple offer situation, an agent is more likely to recommend the Seller accept a competing offer with a pre-underwritten approval letter before accepting an offer with a pre-qual letter. With inventory as tight as it is, you need to work with a lender that will help position yourself to have the best possible chance of getting your offer accepted. This means working with someone that is willing to pre-underwrite the file and issue a full-blown pre-approval prior to you making an offer. Better yet, ask us about our $5,000 Seller Guarantee that we offer to back up our Pre-Approval!